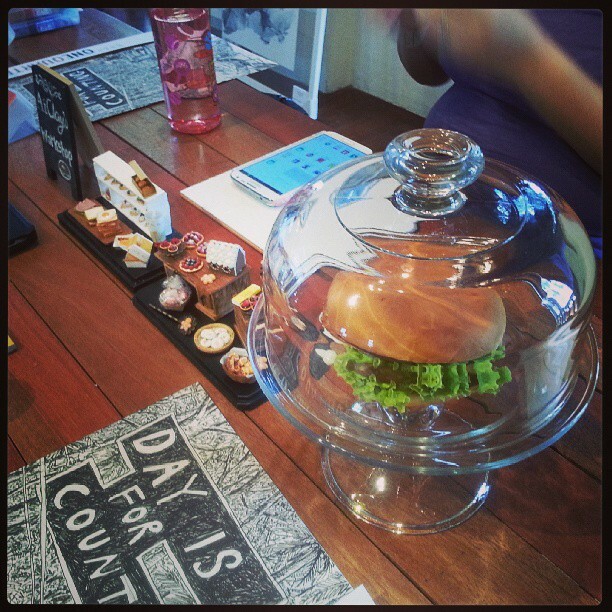 AiClay - a Haven of Miniature Food: Kapoh-ed from Instagram. 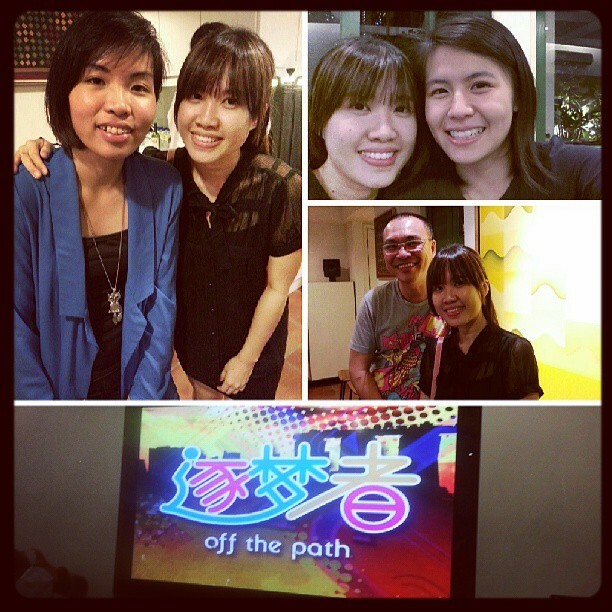 So here we go, all kapok-ed from my Instagram of the week's happenings. First, here we have one of the new locations for our craft parties - Sculpture Square! 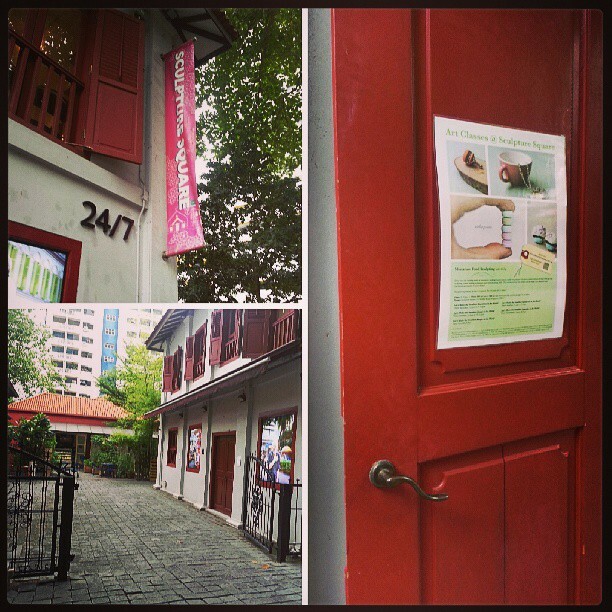 It's a lovely building nestled in artsy Bras Basah area. And yup, that's AiClay's poster on the beautiful red door. 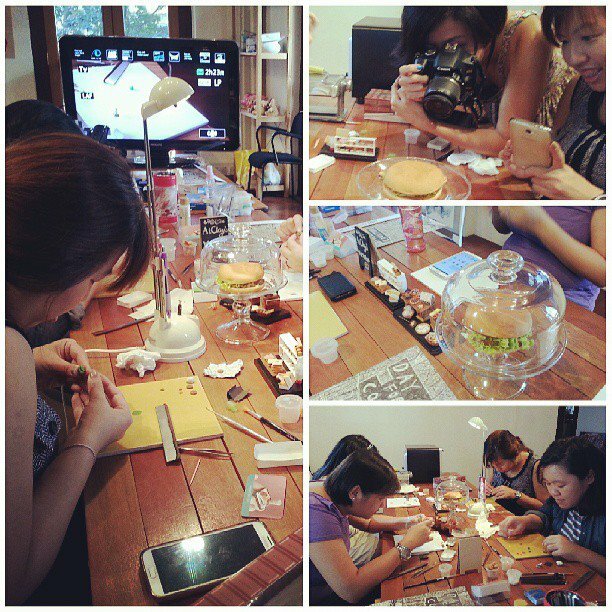 Together with a few awesome ladies, the miniature burger craft party kicked off last Saturday. P.S I'll be having a smaller Home Studio Workshop version later today too, do check here to see how you could arrange for your own weekday workshops as well! And on Tuesday, I attended my first ever wrap party. Now that sounds like I went to a gathering where we all rolled lettuce and meat in a tortilla, but nope. This wrap party was held by the amazeballs production team I got to work with a few months ago, and to celebrate the WRAPPING UP of the show 逐梦者. Kudos to all crew behind and in front of the screen. We got to watch a snippet of the show and it's such an interesting way to showcase the various unique lifestyles of our fellow Singaporeans. The first episode will be shown on 22nd July, Monday, 9PM. I'll need to get back to you about which episode AiClay is on though. it looks like they had a wonderful time at the burger class, will the show be coming to america or youtube?